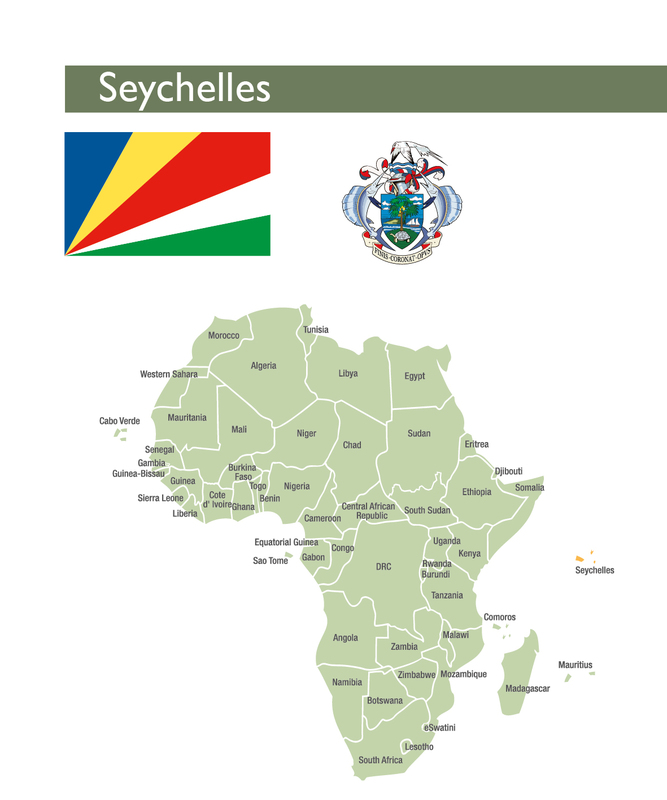 To download a pdf version of the full 2018 Seychelles country profile, click here. The Republic of Seychelles (Seychelles) is a small country, comprising 115 islands scattered over 1 million square kilometres of seain the Indian Ocean, northeast of Madagascar. Seychelleshas a relatively well-developed financial system overseen by two regulators namely the Central Bank of Seychelles and the Financial Services Authority. As at December 2017, the Seychelles financial structure comprised 10 banks (only nine banks in operation), one credit union, two non-bank credit institutions, 15 payment service providers and 27 bureaux de change. Eight out of the 10 banks were privately and primarily foreign-ownedwhile the Government of Seychelles held majority ownership in the other two banks. A Financial Literacy Baseline Survey conducted by FinMark Trust in 2016 revealed Seychelles to be the most financially included country in the Southern African Development Community, as 94percentof Seychellois are banked. The study also found that 75 percentof Seychellois earn regular and consistent income from formal channels such as government jobs, employment at private companies, receiving salaries from another individual, or self-employment. Approximately 67 percentof adults make use of credit from banks. They may also access credit from other sources. Six percentaccess credit from informal credit providers, while approximately three percentexclusively rely on credit from family and friends. According to the latest National Bureau of Statistics figures, Seychelleshas 25 929 houses. Of these, 87 percentare made of stone/block and 13 percentof wood/iron. The housing market in Seychelles is still rudimentary. Most people prefer to build and move into new accommodation; existing accommodation is purchased primarily for rental purposes. The Seychellois property market is strong, driven primarily by the tourist industry. Real estate websites advertise properties in US dollars or euros, and investors buy new and existing properties, as well as land. Land in the country is in great demand, and the tourism and agricultural industries compete with the housing industry for sites. Conflicts over land and housing are set to deepen as the urbanisation rate continues to grow. There is no legislation governing the minimum size of a plot of land. The Ministry of Land Use and Housing is intent, through a variety of measures, on ensuring access to adequate housing for all Seychellois. Though the government continues to develop innovative programmes to address the demand for affordable housing, there is a need to increase capacity to meet the considerable demand in the affordable and low income markets. In a bid to open the country to more foreign investment, recent changes in the law of property ownership have been approved to offer freehold title and residency rights to foreign owners and their immediate families. The Republic of Seychelles (Seychelles) is a small country, comprising 115 islands scattered over 1 million square kilometres of seain the Indian Ocean, northeast of Madagascar. It has a totalland area of 455km2and a population of 95 821 as at December 2017 (an increase of 1.7 percentover 2016).Seychelles has met most of the Millennium Development Goals and reached a high incomestatus in 2015, beingone of the highest income countriesin Sub-Saharan Africa to reach this status. The income per capita in Seychelles stood at US$15 078 in 2016, representing a growth of 2.3 percentover 2015. Seychelleshas one of the highest Human Development scoresin Africa, ranking 62ndglobally for the year 2018 (up from 63rdin 2016 and 74th in 2015).The Seychellois economy is heavily dependent on the global economic environment. Tourism dominates the economy and is the main employer. Fisheries are the country’s most important export sector, accounting for over 90 percentof export revenues, but represent only approximately 11 percentof employment. The growthrate was 4.5 percentin 2016, driven primarily by strong tourist arrivalsand continued expansion in water and electricity production, information and communication services, transportation and financial services.Tourism and fisheries contributed considerably to foreign exchange earnings, employment, and growth in auxiliary sectors. Tight monetary policy ledto a negative one percentinflation in 2016, which was further accentuated by lower than anticipated prices of oil and other imports. The World Bank remarks that Seychelles has a very small population in a relatively isolated location which makes it reliant on external demand, especially tourism. Developments in Europe, which is one of its main tourism markets, renders the economy vulnerable to external shocks. Moreover, it has a small pool of local skilled labour and the cost of external transport and energy is quite high, which poses a challenge in terms of deepening or diversifying Seychelles’ sources of growth. The African Development Bank recommends Seychelles focus on economic diversification, structural transformation, and regional integration to deal with major challenges, notably a small domestic economy, geographical remoteness, high transportation costs, insufficient skilled labour, and vulnerability to external shocks. Seychelles ranked 95 out of 190 countries in the World Bank 2018 Doing Business Index, compared to 93 in 2017. While Seychelles has improved in four areas namely starting a business, getting electricity, registering property, progress was especially noted in terms of dealing with construction permits as Seychelles increased transparency by publishing construction industry regulations online free of charge. National Bureau of Statistics (2018). Population and vital statistics December 2017. https://www.nbs.gov.sc/downloads/population-vital-statistics-2018-1/download(Accessed 25 July 2018). National Bureau of Statistics (2018). 2016 Annual National Accounts Statistics. https://www.nbs.gov.sc/downloads/ana-2016/download(Accessed 25 July 2018). 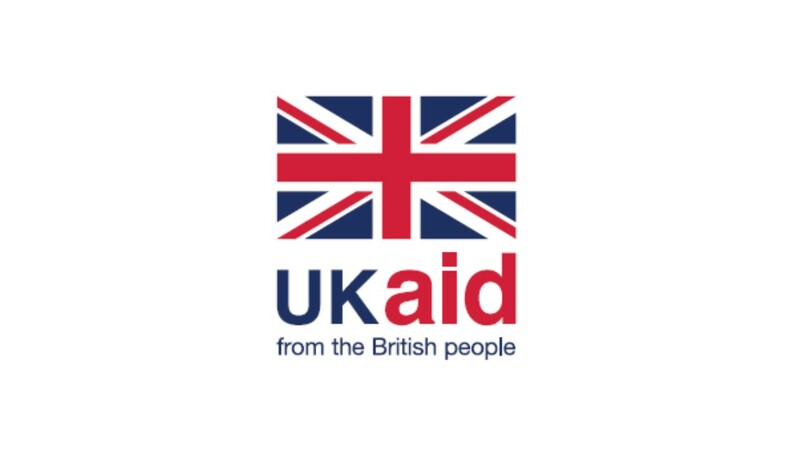 United Nations Development Programme (2018). 2018 Statistical update and Human Development Index – Seychelles. http://hdr.undp.org/en/countries/profiles/SYC. (Accessed 24 September 2018). National Bureau of Statistics (2018). 2016 Annual National Accounts Statistics. African Development Bank (2017). Seychelles Economic Outlook. https://www.afdb.org/en/countries/east-africa/seychelles/seychelles-economic-outlook/(Accessed 25 July 2018). The World Bank (2018). Ease of Doing Business in Seychelles. http://www.doingbusiness.org/en/data/exploreeconomies/seychelles#(Accessed 25 July 2018). Seychelles has a relatively well-developed financial system overseen by two regulators namely the Central Bank of Seychelles and the Financial Services Authority. As at December 2017, the Seychelles financial structure comprised 10 banks (only nine banks in operation), one credit union, two non-bank credit institutions, 15 payment service providers and 27 bureaux de change. Eight out of the 10 banks were privately and primarily foreign-ownedwhile the Government of Seychelles held majority ownership in the other two banks. Though licensed since December 2016, SBM Bank (Seychelles) Limited was yet to commence operations as at December 2017.The Financial Services Authority has licensed six domestic and six non-domestic insurance companies as well several insurance intermediaries. Seychelles also has a securities exchange and a number of intermediaries. For 2017, credit granted by commercial banks rose by 9 per centto reach SCR10 740 million. Credit granted to the private sector in 2017 amounted to SCR6 032 million, representing an increase of 18 per centover the previous year, which may be a result of the fall in interest rates as from August 2017. The share of credit to the privatesector rose by 23 percentin 2017 (from SCR1,097 million in 2016 to SCR1,350 million in 2017) and represented 22 percent of the loans to the private sector (SCR1,350 of SCR 6,032). Mortgage loans increased by 23 percentto R714 million in 2017. However, credit to the real estate category, with a share of 11 percentof total private sector loans, increased by seven percent. The banking sector remained profitable in 2017 despite a decline in the net profit after tax for the sector by 15 percent. Notwithstanding the decrease in the industry-wide capital adequacy ratio from 27 percentto 24 percent, the banking system remained sufficiently capitalised. The sector average liquid assets to total liabilities ratio climbed by three percentage points and stood at 57 percentat the end of the year.However, the World Bank considers the Seychellesfinancial system as “unsatisfactory” as only seven of the banks may be considered as full-fledged commercial banks. As such, access to credit is limited while lending rates are high against low interest on deposits, leading to excessive profit margins. A Financial Literacy Baseline Survey conducted by FinMark Trust in 2016 revealed Seychelles to be the most financially included country in the Southern African Development Community, as 94percentof Seychellois are banked.The study also found that 75 percentof Seychellois earn regular and consistent income from formal channels such as government jobs, employment at private companies, receiving salaries from another individual, or self-employment. The World Bank ranked Seychelles 133rd(out of 190 countries) for getting credit in the 2018 Doing Business report compared to 118thin 2017 and 109thin 2016.Microfinance is extremely limited but growing slowly as international microfinance institutions begin to penetrate the local financial services market. There is a need to set up a credit bureau and to reinforce collateral and bankruptcy laws to protect the rights of borrowers and lenders and thus facilitate lending. Housing finance has received explicit attention through two state-sponsored institutions – the Housing Finance Company (HFC) Limited and the Property Management Corporation (PMC). The HFC was established in 2004 from the merger of the Seychelles Housing Development Corporation and a former PMC. In January 2013, the HFC underwent a transformation that saw the PMC split off again so that the two entities now operate independently though in co-operation with one another. The HFC is the financier, offering construction and end-user finance for housing development, home purchase and home improvements, whereas the PMC is the developer, focusing on the construction, management and maintenance of government’s social housing stock. 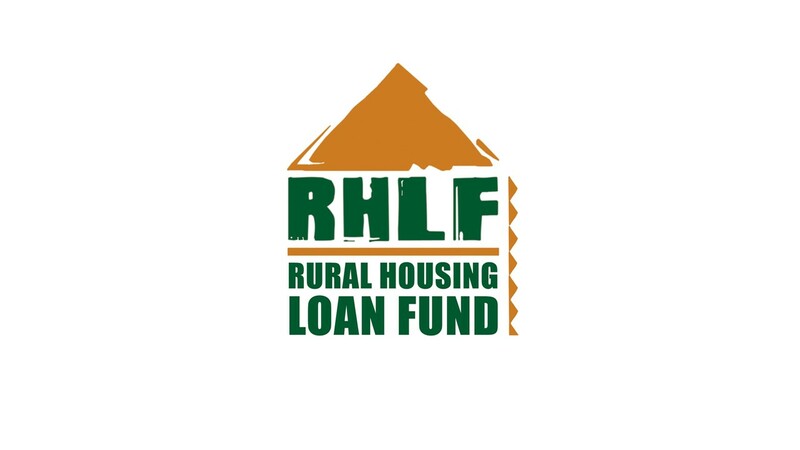 In the past decade, the HFC has approved over 8 200 loans for a sum of SCR733 million(US$55.32 million). HFC borrows affordably from banks and passes the lower interest rates to its clients. It has served low and moderate income householdsand aims to continue providing affordable loans to the low incomeearners while operating a profitable company. The HFC offers a range of end-user products promoting housing affordability. 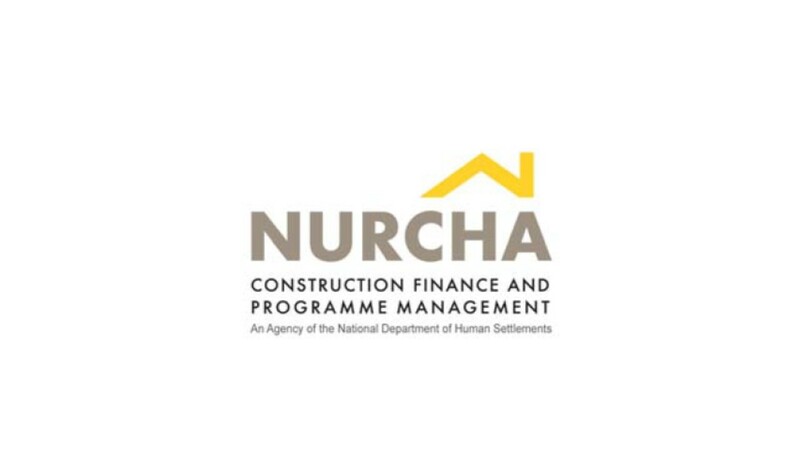 First, there is a Home Savings Scheme to enable Seychellois to save a minimum deposit of 10 percentto qualify for government-constructed housing (the current purchase price of government-subsidised housing is approximately SCR450 000, or (US$33 321). If the affordability of the 10 percentdeposit is a problem, prospective beneficiaries must demonstrate that they can at least save 10 percentof their monthly income. There are three types of Home Loans available to Seychellois: Housing Loan Scheme, 2ndHousing Loan Scheme and House Extension Loan. The Housing Loan Scheme is for clients who are owners of their own plot of land and wish to construct thereon, or for those who wish to purchase a property. The maximum loan amount granted under this scheme is SCR850 000 (US$62 940). The eligibility for this loan is a maximum income of SCR30 000, or (US$2 223) a month. There is no minimum qualifying income, though in practice loans are not affordable to those who earn less than SCR6 000, or (US$444) a month. The HFC registers a mortgage bond (“first charge”) on the properties and requires beneficiaries to obtain mortgage insurance and provide “assignment of salary”. Loanamount is calculated based on clients’ net income with repayment amount being calculated at 30 to 40 percentof the net income/combined net income. The maximum loan repayment term is 23 years, and the loan must be repaid before the client reaches 63 years of age. The 2nd Housing Loan Scheme is for clients who are constructing on their parents’ property or other property on which they have permission to build. The maximum loan amount is SCR400 000 (US$29 619) granted to clients earning a maximum income of SCR30 000 (US$2 223) a month. Home Improvement Loans are intended to help clients with funds to renovate their houses. For general renovations,the maximum amount is SCR50 000 (US$3 702) and for re-roofingof the house,the maximum amount is SCR100 000 (US$7 405).The maximum loan period is five years (which can be extended to seven years under special circumstances).Applicants must earn less than SCR15 000 (US$1 111) a month per household. The repayment period is five years. As of January 2016, HFC has also been assisting pensioners with a Home Improvement Loan under the pensioner’s scheme. Under this scheme,the maximum amounts granted are SCR50 000 (US$3 702) for general renovations and SCR100,000 (US$7 405) for re-roofing. 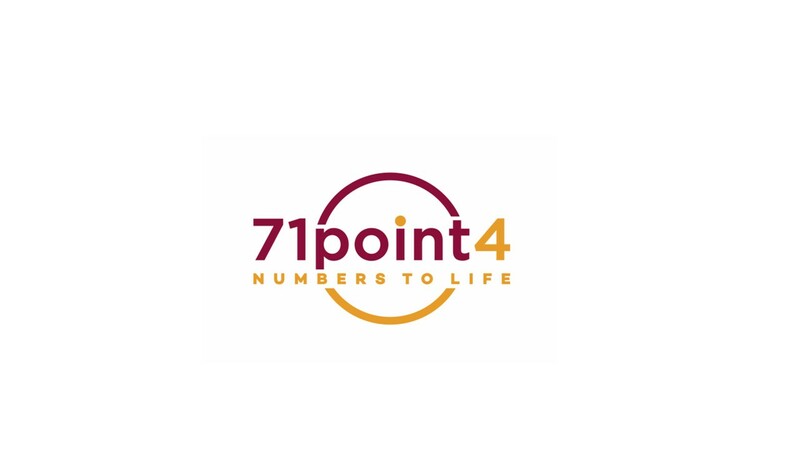 The pensioner’s scheme comprises a component of grant such that 25 percentof the loan amount is subsidised by the government, while the pensioner repays the balance of 75 percentat an interest rate of zero percent. The loan repayment term is seven years. All pensioners are required to have a guarantor who is in stable employment to secure the Home Improvement Loan. There is no maximum qualifying income criterion and a guarantor is compulsory. The guarantor is assessed on the basis that s/he can afford the monthly repayments, not necessarily that s/he is able to afford to repay the entire loan amount. If the pensioner passes away without completing the repayment, it will be the guarantor’s responsibility to repay the loan. A new housing finance subsidy scheme was implemented in 2014, with a total budget of SCR21 million(US$1.55 million). It has aided 343 families, who benefited from assistance to the value of SCR 39.7 million over the period 2014 to 2016. Despite the presence of commercial banks, most housing projects have been financed through the HFC alone to the tune of 97 percentof housing loans. Central Bank of Seychelles (2018). Annual Report 2017. http://www.cbs.sc/Downloads/publications/Annual%20Report%202017.pdf(Accessed 25 July 2018). Financial Services Authority Seychelles (2018). http://www.fsaseychelles.sc/index.php/regulated-entities(Accessed 25 July 2018). Central Bank of Seychelles (2018). Financial Surveillance Report 2017. http://cbs.sc/Downloads/publications/Financial%20Surveillance%20Report%202017.pdf(Accessed 25 July 2018). FinMark Trust (2016). Financial Literacy Baseline Survey Seychelles 2016. The World Bank (2018). Ease of Doing Business in Seychelles. Government of Seychelles (2016). 2016 Budget Speech. http://www.finance.gov.sc/uploads/national_budget/2016%20Budget%20Speech-%20English%20version-%20FINAL.pdf(Accessed 25 July 2018). Seychelleshas a generous social welfare system that supplements incomes considerably. Education is free, and subsidies are provided to support post-secondary education. The government is the principle health-care provider and spends significant budgetary resources in the sector. Housing is the primary capital and services expenditure item for the private sector. Unemployment, which was 5.5 percentat the end of 2016, fell to 3.9 percentat the end of 2017. As the country with the highest GDP per capita in Sub-Saharan Africa (US$27 602 in 2018), Seychellesis ranked 88thin terms of economic freedom. Still, there are pockets of poverty. The governmenthas noted a rising trend in reliance on social assistance for income enhancement as well as growing social problems, which are impacting on the economy and society. Through benchmarking with international governmental bodies for the last decade, the Seychelles Government has steered its housing policies away from being the major supplier, from subsidising to more of a facilitator, given that families are being orientated to be more financially independent. Government housing policies are not stagnantbut are intended to fluctuate with the current housing/economic conditions. The current policy is geared to referring upper-incomegroup earners to private/commercial financial institutions. The government of Seychelles has two schemes in place: the social housing and the condominium schemes. The condominium scheme targets semi-professionals and professionals and is based on loan sustainability and needs/urgency/priority. Social housing is provided to the public in need of a decent house. Allocation is based on needs and is established by priority rating and recommendations from the local district authority. The government has a policyto help Seychellois obtain loans from financial institutions. There are six categories of house and loan schemes: a full housing loan (to construct a new house), a home improvement loan (for minor maintenance/renovation works), a 2ndhousing loan scheme (for construction of a second house – new construction); house extensions schemes (for the construction of one extra bedroom and bathroom only); a land loan (to purchase land from the Government/private sector); and a land and house loan (to purchase existing property). Government-subsidised housing is currently being delivered for SCR500 000 (US$37 023), and estate agents advise that for SCR200 000 (US$14 810) to SCR300 000 (US$22 214), a buyer can get a very basic unit. An average three-bedroom home of approximately 150m2 ranges from between SCR750 000 (US$55 535) and SCR1 million (US$74 047). Construction companies advise that finished homes sell for between SCR11 500 (US$852) and SCR62 000 (US$4 591) per m². While there are no minimum-house-size regulations, 100m2is the accepted norm for minimum size. A 100m2house built by a private promoter costs around US$160 000. The Financial Literacy Baseline Survey, conducted by FinMark Trust in 2016, revealed that the second most important motive for borrowing by Seychellois was to buy or build a dwelling or simply to improve orrenovatea dwelling.However, the percentage of Seychellois saving towards buying, building or renovating a dwelling is extremely low. Unfortunately, the study also reveals that the main reason for borrowing is to pay off debt, with surveys showing around 26 percentof Seychellois are over-indebted. Approximately 67 percentof adults make use of credit from banks. They may also access credit from other sources. Six percentaccess credit from informal credit providers, while approximately three percentexclusively rely on credit from family and friends. Heritage Foundation (2018). 2018 Index of Economic Freedom. https://www.heritage.org/international-economies/commentary/2018-index-economic-freedom(Accessed 25 July 2018). Ministry of Habitat, Infrastructure and Land Transport, Seychelles website. http://www.luh.gov.sc/default.aspx?PageId=13(Accessed 25 July 2018). According to the latest National Bureau of Statistics figures, Seychelleshas 25 929 houses. Of these, 87 percentare made of stone/block and 13 percentof wood/iron. There is a change in building materials and in living conditions and new patterns in lifestyle, from wood to stone/block, with palm/lattice, houses to modern structures with modern telecommunications technology, household amenities and ownership of assets. The housing market in Seychelles is still rudimentary. Most people prefer to build and move into new accommodation; existing accommodation is purchased primarily for rental purposes.According to the 2013 Housing and Population Census, most of the population (82 percent) say they own the dwelling in which they live.Some 11 percentrent their houses privately. Three-bedroom apartment rentals range from SCR 16 000 (US$1 184.) to SCR 19 000 (US$1 406). Just under seven percentsay they live rent-freein a dwelling they do not own. Most households (93 percent) have access to treated, piped water, and 82.4 percenthave flush toilets connected to a septic tank. In terms of energy use, 98 percentuse electricity for lighting and 92 percentuse gas for cooking. In addition, 94 percentof the population has access to mobile phones and 95 percentpossess a television set. The construction sector is showing signs of stagnation as per the quarterly national accounts bulletin of the National Bureau of Statistics, with negative growth noted in quarters one and four.From the period between 2008 and 2011, the sector had experienced significant growth that was linked to the implementationof large-scale foreign direct investment projects as well as government housing projects. However, significant declines have been experienced thereafter. In terms of housing supply, the Government of Seychelles has between 2006 and 2014 allocated 1 404 houses. The Ile Perseverance housing project is estimated to provide 2 000 houses from 2006 till the end of the project, thus catering for almost 70 percentof the housing needs in Seychelles. An estimated 1 055 units have already been made available to Seychellois families. A new official plan started in 2017 whereby authorities will build housing estates in all 25 districts of the country. This project is expected to reduce thepressureof congestion around Victoria and its suburbs. The llePerseverance housing estate is the largest urban area, with approximately 2 000 houses for an estimated 8 000 people. The Government of Seychelles envisions reducing reliance on government and cash-strapped public enterprises, such as home mortgage finance and property management companies, by tapping public-private partnership initiatives to finance housing development. National Bureau of Statistics of Seychelles (2013). Population & Housing Census 2010. https://www.nbs.gov.sc/downloads/population-and-housing-census-2010-report/download(Accessed 25 July 2018). National Bureau of Statistics of Seychelles (2018). Quarterly National Accounts. Q1 2018 https://www.nbs.gov.sc/downloads/quarterly-national-accounts-q1-2018/download(Accessed 25 July 2018). The Seychellois property market is strong, driven primarily by the tourist industry. Real estate websites advertise properties in US dollars or euros, and investors buy new and existing properties, as well as land. Land in the country is in great demand, and the tourism and agricultural industries compete with the housing industry for sites. Conflicts over land and housing are set to deepen as the urbanisation rate continues to grow. There is no legislation governing the minimum size of a plot of land. Properties can range from as small as 20m2to sizeable holdings. Most land is privately held, with prices ranging from SCR731 per square metre (US$56) to SCR375 per square metre (US$28.30) for unserviced land. Serviced land averages approximately SCR1 000 per square metre (US$74). However, for prime beachfront properties, the average price stands at SCR21 921 (US$1 689) per square metre. Seychellesranks 62nd out of 190 countries according to the World Bank’s 2018 Doing Business Report for the indicator “ease of registering property”. The four procedures take 33 days and cost seven percentof the property value. In Seychelles,foreigners can own property. Seychellois can purchase propertyat any time without permission and the transfer tax is set at five percentof the purchase price. A non-Seychellois may purchase immovable property which is privately owned, or rights therein, in Seychelles subject to permissionbeingobtained from the Government of Seychelles. Sanctions granted are valid for one year from the date on which these were issued during which time the transactions must have been ffectedand registered. The government of Seychelles announced in its national budget that for the year 2018, SCR 18 million (US$1 358 472) will be allocated to the housing finance subsidy schemes. Moreover, first-home acquirers arecharged a maximum processing fee of SCR 2 500 (US$1 358 472) on housing loans below SCR 1.5 million (US$US$1 358 472) and for the remaining loan amount above SCR 1.5 million, the first home acquirers will be charged a maximum of 0.5 percentas processing fee on the balance. Government of Seychelles (2018). Seychelles government budget for the fiscal year 2018. One-bedroom apartmentssellfor an average of SCR6.17 million (US$475,000). Two-bedroom apartmentssellfor an average of SCR8.76 million (US$675,000). Villas sell for an average of SCR45.43 million (US$3.5 million). African Development Bank Group. (2018). African Economic Outlook.https://www.afdb.org/en/knowledge/publications/african-economic-outlook/(Accessed 22 July 2018). African Development Bank Group (2016). Seychelles Country Strategic Paper 2016-2018. https://www.afdb.org/en/documents/document/seychelles-country-strategy-paper-2016-2018-86803/(Accessed 25 July 2018). Central Bank of Seychelles (2017). Annual Report 2017. FinMark Trust (2016). Financial Literacy Baseline Survey Seychelles 2016 . http://www.cbs.sc/Downloads/publications/Report_Financial%20Literacy%20Survey.pdf(Accessed 25 July 2018). FinMark Trust (2011). SADC Microfinance Study: Landscape, regulatory environment, level of monitoring and support. http://www.finmark.org.za/wp-content/uploads/2016/01/Fin66-SADC-Microfinance-Study-20111017-mh-v5.5-final.pdf(Accessed 25 July 2018). International Monetary Fund (2014). Financial Access Survey (FAS) 2014. https://www.imf.org/en/Data(Accessed 25 July 2018). Mo Ibrahim Foundation (2017). Ibrahim Index of African Governance Index Report. National Bureau of Statistics (2018). Seychelles in figures 2017. https://www.nbs.gov.sc/news/91-seychelles-in-figures-2017(Accessed 25 July 2018). Ministry of Finance, Trade Investment and Economic Planning of Seychelles (2018). National Budget 2018. http://www.finance.gov.sc/uploads/national_budget/Budget%20Speech%20for%20Fiscal%20Year%202018%20Final.pdf(Accessed 25 July 2018). 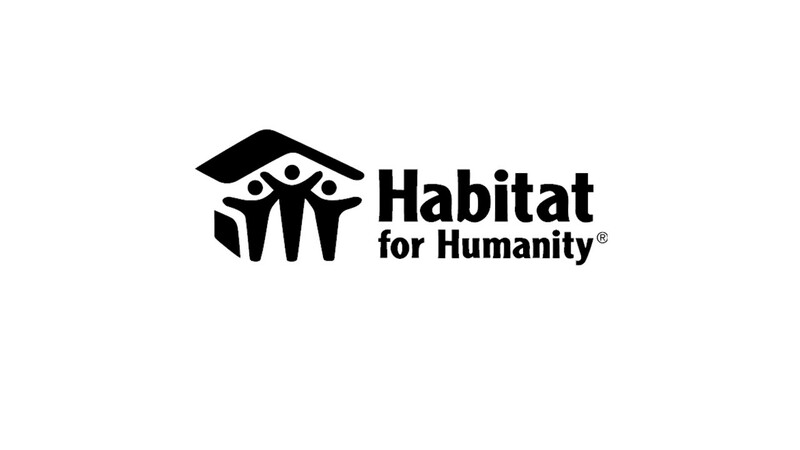 UN-Habitat (2004). Human Settlements Country Profile: Seychelles. United Nations Development Programme (2007). Capacity Development for Sustainable Land Management in Seychelles. United Nations Research Institute for Social Development (2009). Social Policy in the Seychelles: Social Policies in Small States Series, No. 5. World Bank (2012). International Finance Corporation, Country Partnership Strategy for the Republic of Seychelles, FY 2012 – 2015. http://documents.worldbank.org/curated/en/524151468165858183/pdf/669190CAS0P1240Official0Use0Only090.pdf(Accessed 25 July 2018). World Bank. (2018). Doing Business 2018: Reforming to create jobs: Seychelles.